A hotly-anticipated new homes development in Great Cornard is set to launch later this month. Woodland Rise will deliver 166 two, three, four and five bedroom homes at Carsons Drive in the popular and family-friendly village. Michelle Baker, head of sales for Persimmon Homes Anglia, said: “We will be launching Woodland Rise on Saturday 21st October, with the first selection of properties released for sale. All Persimmon homes come with a ten-year new homes warranty and are built to be more energy efficient than older properties. Depending on the build stage, customers can choose from a selection of kitchen units and worktops, bathroom upgrades and fitted wardrobes, to ensure their new home is perfectly tailored to their needs. The Woodland Rise sales office will be open from 10am to 4pm, Thursdays to Mondays, from Saturday 21st October. Schemes to help people move into their new home are available, including the Government-backed Help to Buy. Under the successful initiative, it is possible to buy a new Persimmon Homes property with a deposit of just five per cent. 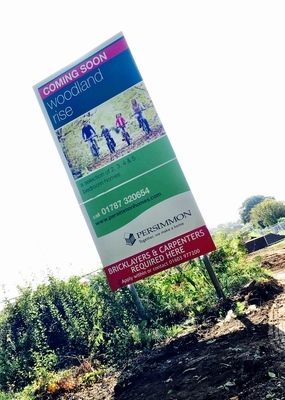 For more information about Woodland Rise, visit persimmonhomes.com.